Epidemiology & Biostatistics – Robert Hiatt, MD, PhD, announced that he intends to step down as chair on September 30, 2016, after 10 years of service. He will remain on faculty and act as interim chair until a new chair is selected. Neurology – Stephen Hauser, MD, announced that he will step down no later than June 30, 2017, after 25 years as chair. 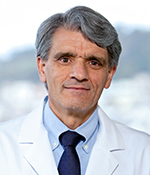 He will remain on faculty and will continue to serve as the director of the UCSF Weill Institute for Neurosciences. 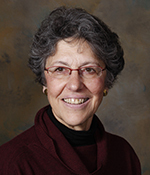 Obstetrics, Gynecology and Reproductive Sciences – Linda Giudice, MD, PhD, announced that she will step down on October 15, 2016, after 11 years as chair. She will remain on faculty and continue her research. An interim chair is yet to be named. Pediatrics – Donna Ferriero, MD, announced that she will step down as chair and retire on June 30, 2017, after seven years as chair. She will continue her research and teaching through a recall faculty appointment. Radiology and Biomedical Imaging – Ronald Arenson, MD, announced that he will step down as chair and retire on June 30, 2017, after 25 years of service. He may continue to serve as faculty on recall. Each of these leaders leaves behind an impressive history and what follows are some highlights of their many contributions and accomplishments. UCSF’s Department of Epidemiology & Biostatistics is the largest epidemiology department in the UC system. Robert Hiatt, MD, PhD, was appointed as co-chair of the department in 2006 and became the sole chair in 2010. Under his leadership, the department has continued to grow and expand the scope of its expertise. From 35 primary and 97 affiliate faculty in 2006, the department has grown to 57 primary and 123 secondary and affiliate faculty in 2016. He developed the new PhD program in Epidemiology and Translational Sciences, which has been highly successful in attracting top students and promises to take the department into its next stage of evolution. While continuing its strengths in clinical epidemiology, musculoskeletal, cancer and genetic epidemiology, the department has expanded into advanced epidemiological methods, social and environmental epidemiology, studies of aging and cognitive decline, spatial epidemiology, demography and global health. He has been spearheading the incorporation of more epidemiology and biostatistics through the lens of population health sciences in the new Bridges Curriculum. In addition, Dr. Hiatt championed efforts to move the department back onto campus where it is now centrally located at Mission Bay, adjacent to both the basic sciences and the Medical Center where it can play a key role in the emerging fields of data science, transdisciplinary, team science and an increased focus on population health science. Dr. Hiatt has also been the associate director for Population Science of the Helen Diller Family Comprehensive Cancer Center since 2003 and will continue in this role. During his tenure as chair he served as the president of the American Society for Preventive Oncology and is a past president of the American College of Epidemiology. He currently serves as a member of the Board on Environmental Studies and Toxicology of the National Academy of Science. The Department of Neurology has flourished under the leadership of Stephen Hauser, MD. Since his appointment as chair in 1992, the department has grown from 32 to over 190 faculty and become a national leader in research, education and patient care. In 2011, the department ascended to the #1 ranking in NIH funding amongst all neurology departments nationwide and has remained in this position for six consecutive years. Dr. Hauser envisioned and was integrally involved with creating the Sandler Neurosciences Center (SNC) at Mission Bay, which opened in 2012 and enables research faculty to work in a highly collegial, state-of-the-art facility, accelerating the impact and quality of translational research programs across the Neurosciences Community. Dr. Hauser has nurtured the careers of many outstanding faculty and he has enabled the recruitment and retention of some of the most notable investigators worldwide, including three members of the National Academy of Sciences and eight members of the National Academy of Medicine. The department has some of the strongest and most sought-after residency and fellowship programs nationwide. Neurology is one of the required core clerkships of the UCSF medical student rotation and the department’s residency program is ranked #1 in the US (per Doximity). Under his leadership, the department has acquired 35 new endowed chairs and it is currently ranked #1 in fundraising across all UCSF departments. As Dr. Hauser transitions from his role leading the Department of Neurology, his talent and foresight will continue to benefit the University in his new appointment as the director of the UCSF Weill Institute for Neurosciences (WIN), which will create unparalleled opportunities to reimagine neuroscience services, especially delivery of clinical services. As chair, Dr. Hauser recruited innovative and efficient administrative staff, appointed robust divisional leadership, and together they have been able to turn UCSF Neurology Clinical Services into a thriving entity with successful sub-specialty practices and fruitful collaborations across Neurosurgery and Psychiatry. Dr. Hauser guided the development of an exceptional new outpatient facility at Mission Bay, in close proximity to SNC, to further strengthen medical discoveries spanning from bench to bedside. The current U.S. News & World Report ranks UCSF Neurology/ Neurosurgery services as #4 in the nation. A neuroimmunologist, Dr. Hauser is a leader in research that has advanced our understanding of the genetic basis, immune mechanisms and treatment of multiple sclerosis. Dr. Hauser is a fellow of the American Academy of Arts and Sciences and the American Academy of Physicians, and is a member of the National Academy of Medicine. During the tenure of Linda Giudice, MD, PhD, as chair, the Department of Obstetrics, Gynecology & Reproductive Sciences has consistently rated #1 in National Institutes of Health (NIH)-funded OBGYN departments in the US, ranked in the top tier of Women’s Health and maintained outstanding clinical services. Under her leadership, the department has a highly sought-after residency program and highly competitive fellowship programs in Maternal-Fetal Medicine/Genetics, GYN Oncology, Reproductive Endocrinology & Infertility and Family Planning. The department successfully moved and opened new hospital and clinics in Mission Bay in 2015 and has been an active partner in UCSF Health for women’s health services at UCSF and the Bay Area. Dr. Giudice established the UCSF Program for Reproductive Health in the Environment and is a leader in this emerging field. She has supported careers of more than 100 faculty and 400 staff, and led the department’s Strategic plan that has prioritized diversity and respect as key initiatives. She is pioneering Women’s Precision Medicine and under her leadership, the department has supported the Undergraduate Research Internship (URI) Program for mostly first-in-family students to attend college and with aspirations to enter the health care field. Multiple endowments have enabled recruitment of talented faculty. 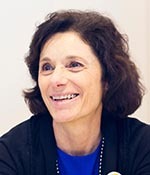 Dr. Giudice, a member of the National Academy of Medicine and recently elected as an honorary fellow of the Royal College of Obstetricians and Gynecologists, will remain on faculty, focusing her passion for environmental health on the global stage, and continuing her research on epigenetics and genomics of endometriosis. In addition, she will continue her clinical practice as a reproductive endocrinologist, along with teaching and mentoring faculty and trainees. As chair, Donna Ferriero, MD, led the Department of Pediatrics to its new home in Mission Hall, opened a new hospital and grew its faculty with new relationships with UCSF Benioff Children’s Hospital Oakland, Washington Hospital, UCSF Fresno and Community Hospital of the Monterey Peninsula (CHOMP). With her departure, she leaves the department in its best financial and academic condition ever. She appointed new chiefs in allergy-immunology-blood marrow transplant, developmental behavioral medicine, endocrinology, genetics, hematology-oncology, hospital medicine, infectious disease, neonatology, pulmonary medicine and rheumatology. She is very thankful for the chance to shape the new leadership in the department and is confident that the next chair will enjoy this talented leadership council. Dr. Ferriero will continue her research and teaching and has been awarded an 8-year grant from National Institute of Neurological Disorders and Stroke for her laboratory research program in neonatal brain injury mechanisms. She will also continue to oversee her clinical research in neonatal brain imaging with James Barkovich, MD. Dr. Ferriero is the W. H. and Marie Wattis Distinguished Professor of Pediatrics and physician-in-chief of the UCSF Benioff Children’s Hospital. Dr. Ferriero is director of the Neonatal Brain Disorder Laboratories and co-director of the Newborn Brain Research Institute at UCSF. Her laboratory has been critical in defining the relationship of selectively vulnerable populations of neural cells during maturation-dependent injury. She received the UCSF Chancellor’s Award for the Advancement of Women and the Maureen Andrew Mentor Award from the Society for Pediatric Research. She is past-president of the Child Neurology Society the American Pediatric Society. She was elected to the Institute of Medicine (now the National Academy of Medicine) in 2005, to the Association of American Physicians in 2011 and to the American Academy of Arts and Sciences in 2013. Ronald Arenson, MD, has served as chair of Radiology and Biomedical Imaging and the Alexander R. Margulis Distinguished Professor for the past 25 years. During that period, the department has grown considerably in all its missions and now performs clinically over 500,000 procedures a year at multiple sites including Parnassus, Mt. Zion, Mission Bay, China Basin Landing, UCSF Imaging at Montgomery Street, the Veterans Administration Medical Center and Zuckerberg San Francisco General Hospital. The faculty has grown to 140 over this period and the UCSF Radiology residency program has consistently been ranked as the #1 training program in radiology in the United States by Doximity/U.S. News & World Report and AuntMinnie.com. Almost 15 years ago, Dr. Arenson opened the UCSF China Basin Landing Imaging Center housing both a clinical facility and a 50,000 square foot research facility including a cyclotron. With the addition of China Basin, the department rose to No. 2 in NIH funding for Diagnostic Radiology departments. The department reached $50 million in research funding this past year. Dr. Arenson has conducted research and written extensively on Medical Information Systems and leadership. He is a fellow in the American College of Medical Informatics, in the American College of Radiology and in the Society for Imaging Informatics in Medicine and has received Gold Medals from New York Medical College, the Association of University Radiologists and the European Society of Radiology. Dr. Arenson has served in multiple leadership positions locally, nationally and internationally. He just completed his service as 2015 president of the Radiological Society of North America (RSNA), having served on the Board of Directors for eight years. He has served on both the Advisory Council of the National Institute of Biomedical Imaging and Bioengineering and the NIH Council of Councils. 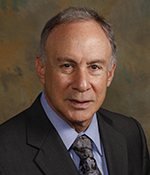 He has served as the president of the Association of University Radiologists (AUR), the Society of Chairman of Academic Radiology Departments, the Board of GE-Radiology Research Academic Fellowship, the International Society for Strategic Studies in Radiology, the Radiology Information Systems Consortium and the Academy of Radiology Research (ARR). Dr. Arenson currently serves on the Board of Trustees for the RSNA Research and Education Foundation and still serves on the AUR and ARR Boards of Directors. 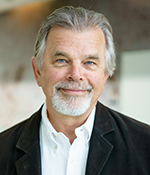 At UCSF, Dr. Arenson served as president of the Medical Staff, chair of the campus IT Steering Committee and serves on multiple committees for UCSF Health including Executive Committee, Leadership Council, Finance Committee, and Faculty Practice Advisory Committee.